Substantive content. Good discussion. Speaker Paul Ryan as the first guest?!! Sweet! Speaker Paul Ryan as your first guest?! Very cool! I heard about this new podcast, when the host Lanhee Chen was interviewed on a related podcast called Ricochet. Mr Chen's first episode was great, and I am looking forward to the next episode. He is a knowledgable practitioner in the space of politics and policy, with a keen awareness of the current, US political landscape. I really appreciated how he thoughtfully guided his guest, Speaker Paul Ryan, along constructive threads, but then let Speaker Ryan elaborate, unencumbered. Lanhee sits down with Mitt Romney for his first podcast interview since being elected to the United States Senate last November. They talk about life in the Senate, the state of US politics, and some of the policies he plans to focus on over the coming months. Lanhee also talks about the Trump-Kim summit and other events of the week. MoreJoin the conversation and comment on this podcast episode: https://ricochet.com/podcast/crossing-lines/the-junior-senator-from-utah/. Podcast listeners: Now become a Ricochet member for only $2.50 a month! Join and see what you’ve been missing: https://ricochet.com/join/. Subscribe to Crossing Lines with Lanhee Chen in iTunes (and leave a 5-star review, please! ), or by RSS feed. For all our podcasts in one place, subscribe to the Ricochet Audio Network Superfeed in iTunes or by RSS feed. Lanhee is joined by Dana Perino, host of the FOX News anchor of The Daily Briefing and co-host of The Five. They talk about Dana's time as White House Press Secretary, the state of the media, and the lessons that journalists and citizens should take from the 2016 and 2018 elections as we look ahead to 2020. Lanhee also gives us his thoughts about the Democrats' "Green New Deal" and why the State of the Union was President Trump's "opening salvo" in the 2020 presidential campaign. MoreJoin the conversation and comment on this podcast episode: https://ricochet.com/podcast/crossing-lines/dana-dishes/. Podcast listeners: Now become a Ricochet member for only $2.50 a month! Join and see what you’ve been missing: https://ricochet.com/join/. Subscribe to Crossing Lines with Lanhee Chen in iTunes (and leave a 5-star review, please! ), or by RSS feed. For all our podcasts in one place, subscribe to the Ricochet Audio Network Superfeed in iTunes or by RSS feed. Minneapolis Federal Reserve Bank President Neel Kashkari joins Lanhee on the fourth episode of Crossing Lines and reveals what keeps him up at night in his role as an economic policymaker. He also talks about his personal journey to the job and provides some insight into how he makes the important decisions impacting our nation's economy. Also, Lanhee shares his thoughts about the current government shutdown, immigration reform, and the economy. MoreJoin the conversation and comment on this podcast episode: https://ricochet.com/podcast/crossing-lines/fed-fundamentals/. Podcast listeners: Now become a Ricochet member for only $2.50 a month! Join and see what you’ve been missing: https://ricochet.com/join/. Subscribe to Crossing Lines with Lanhee Chen in iTunes (and leave a 5-star review, please! ), or by RSS feed. For all our podcasts in one place, subscribe to the Ricochet Audio Network Superfeed in iTunes or by RSS feed. In this episode, Lanhee interviews Wall Street Journal Chief Economics Commentator Greg Ip about the US-China trade dispute and likely impacts on the US economy. He also reflects on the life and political legacy of President George H.W. Bush, as well as other events of the last week. MoreJoin the conversation and comment on this podcast episode: https://ricochet.com/podcast/crossing-lines/ip-so-fact-o/. Podcast listeners: Now become a Ricochet member for only $2.50 a month! Join and see what you’ve been missing: https://ricochet.com/join/. Subscribe to Crossing Lines with Lanhee Chen in iTunes (and leave a 5-star review, please! ), or by RSS feed. For all our podcasts in one place, subscribe to the Ricochet Audio Network Superfeed in iTunes or by RSS feed. In this episode, Lanhee recaps the midterm elections and talks about how Republicans should address health care reform going forward. His guests are James Hohmann, a reporter at the Washington Post, who provides his reflections and analysis of the results of the midterm elections, and Neil Newhouse, Republican pollster and partner at Public Opinion Strategies, who shares insights from polling in the wake of the 2018 election, and takes us behind the scenes of the polling industry to talk about lessons learned from past election cycles. MoreJoin the conversation and comment on this podcast episode: https://ricochet.com/podcast/crossing-lines/a-pollster-a-journo-and-why-we-cant-just-get-along/. Podcast listeners: Now become a Ricochet member for only $2.50 a month! Join and see what you’ve been missing: https://ricochet.com/join/. Subscribe to Crossing Lines with Lanhee Chen in iTunes (and leave a 5-star review, please! ), or by RSS feed. For all our podcasts in one place, subscribe to the Ricochet Audio Network Superfeed in iTunes or by RSS feed. In the first episode of Crossing Lines, Lanhee explains how he came up the with the name of his podcast and shares a little bit of his own background and journey. He interviews House Speaker Paul Ryan about the upcoming midterm elections, accomplishments of the Republican-led House, and the future of the conservative movement. He ends the podcast with some observations about Ryan and where things stand in key U.S. Senate campaigns with just a few weeks left before Election Day. MoreJoin the conversation and comment on this podcast episode: https://ricochet.com/podcast/crossing-lines/ryans-hope-3/. Podcast listeners: Now become a Ricochet member for only $2.50 a month! Join and see what you’ve been missing: https://ricochet.com/join/. Subscribe to Crossing Lines with Lanhee Chen in iTunes (and leave a 5-star review, please! ), or by RSS feed. For all our podcasts in one place, subscribe to the Ricochet Audio Network Superfeed in iTunes or by RSS feed. 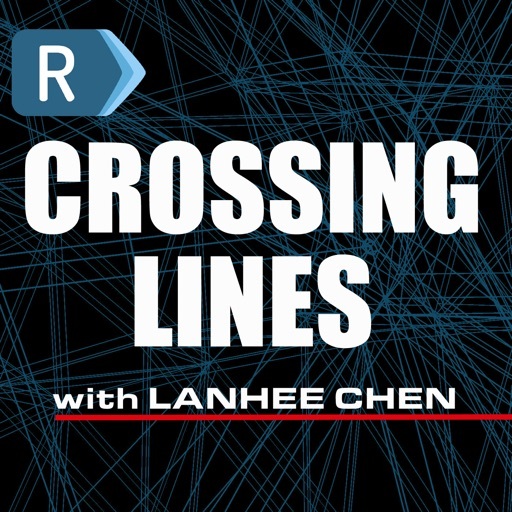 Introducing the Crossing Lines podcast, hosted by Lanhee Chen. This podcast will cross the line between politics and policy; we'll talk about what it takes to get campaigns across the line to a successful outcome; we need to cross some lines and boundaries to fix our politics. Lanhee Chen is a policy expert, academic, and political commentator. Chen currently serves as the David and Diane Steffy Research Fellow at the Hoover Institution, Director of Domestic Policy Studies and Lecturer in the Public Policy Program at Stanford University, and Lecturer in Law at Stanford Law School. MoreJoin the conversation and comment on this podcast episode: https://ricochet.com/podcast/crossing-lines/crossing-lines-preview/. Podcast listeners: Now become a Ricochet member for only $2.50 a month! Join and see what you’ve been missing: https://ricochet.com/join/. Subscribe to Crossing Lines with Lanhee Chen in iTunes (and leave a 5-star review, please! ), or by RSS feed. For all our podcasts in one place, subscribe to the Ricochet Audio Network Superfeed in iTunes or by RSS feed. © 2019 OwlTail All rights reserved. OwlTail only owns the podcast episode rankings. Copyright of underlying podcast content is owned by the publisher, not OwlTail. Audio is streamed directly from The Ricochet Audio Network servers. Downloads goes directly to publisher.